Helensburgh Savoy are pleased to say that on Wednesday night we presented a cheque for £1,200 to the Helensburgh Stroke Club with the takings from our Sing For Your Supper charity event back in February. URTV and the Helensburgh Advertiser both came along to cover the presentation, with a prominent feature in this Friday’s URTV daily news report which can be viewed here. 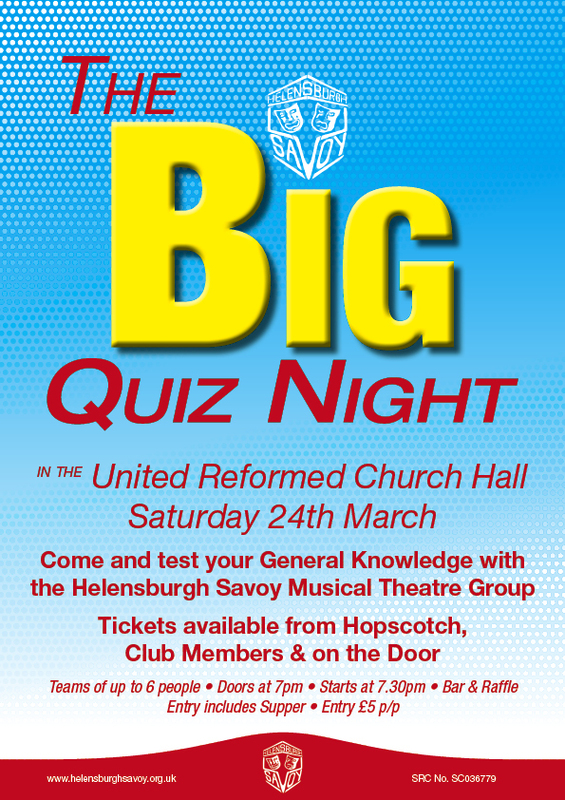 Remember it is our Big Quiz Night this Saturday, at the URC hall in Helensburgh. Entry is £5 p/p including a supper and teams of up to 6. A bar and raffle will be available. Doors are at 7pm with the quiz starting at 7:30pm. All are welcome to come and test their wits in the annual Savoy fundraising quiz, written and hosted once again by Euan Forrest. Teams of up to 6. Bar and Raffle available. Tickets available from Hopscotch and on the door. Tickets £5 p/p, inc. supper.